Animal models of diet-induced obesity (DIO) are commonly used to model metabolic syndrome, but have some limitations. Can a modified DIO protocol produce better type 2 diabetes models? DIO C57BL/6 mice are obese, glucose intolerant, insulin resistant, and display mild hyperglycemia. To better model Type 2 diabetes, researchers at the University of Colorado and NYU Langone Medical Center recently developed a modified protocol which combines diet induction and streptozotocin treatment in C57BL/6NTac mice. Yu and colleagues obtained DIO B6 mice from Taconic Biosciences and continued feeding the high fat diet D12492 for an additional five weeks. Some mice were then administered low doses of streptozotocin (STZ), a drug which is commonly used to induce Type 1 diabetes by destroying pancreatic beta cells. In this case, the lower STZ dose produced less severe insulin deficiency. The modified protocol of high fat diet + low dose STZ produced mice with higher blood glucose levels and plasma triglycerides compared to Black 6 mice on high fat diet alone. The high fat diet + STZ mice also demonstrated mild body weight loss (~10%). Researchers evaluated the new model by studying its response to canaglifozin, a diabetes treatment which works by inhibiting sodium-glucose transporter 2 (SGLT2). In the clinic, canaglifozin controls hyperglycemia, with some improvement also in lipid profiles. As in humans, treatment of the high fat diet + STZ mice with canaglifozin resulted in lower blood glucose. They also showed lower total plasma cholesterol compared to mice treated with either insulin or a placebo. Although canaglifozin treatment decreased plasma triglycerides in some clinical studies, that was not observed in the high fat diet + STZ mice treated with the drug. Yu et al. conclude the new high fat diet + streptozotocin model is a simple way to generate an obese Type 2 diabetes model with moderate hyperglycemia and insulin deficiency. Although the model demonstrated some features of canaglifozin treatment as seen in the clinic, the differences in lipoprotein metabolism between humans and mice may be reason the model system failed to show the type of lipid changes observed in humans. A potential future direction for this research would be to subject transgenic mice which express human ApoB100 and CETP to the high fat diet + streptozotocin protocol. Their more human-like lipid profile could produce a more translational animal model of Type 2 diabetes. 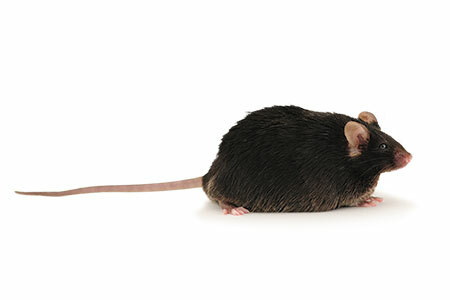 Are you planning an experiment with Diet Induced Obesity mice? Yu, T.; Sungelo, M.; Goldberg, I.; Wang, H.; Eckel, R. Hormone and Metabolic Research 2017, 49 (05), 400-406.